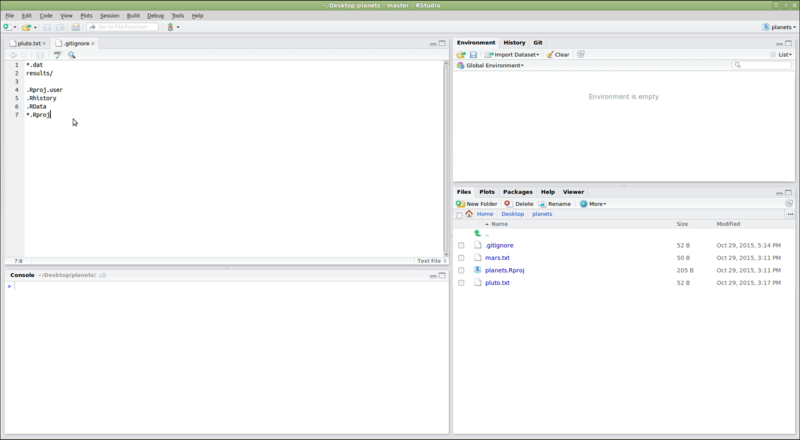 How can I use Git with RStudio? 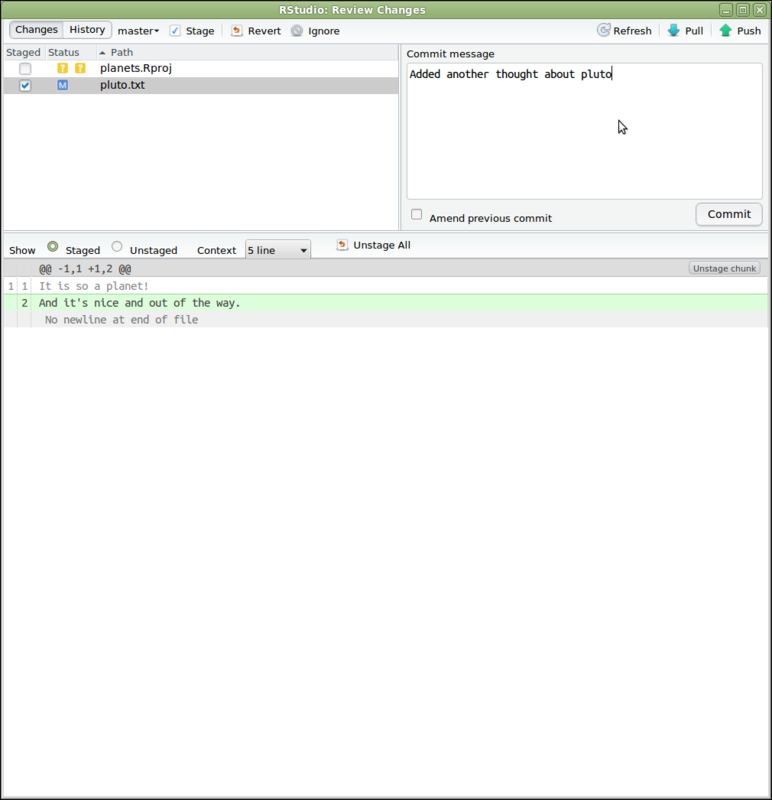 Understand how to use Git from RStudio. Version control can be very useful when developing data analysis scripts. 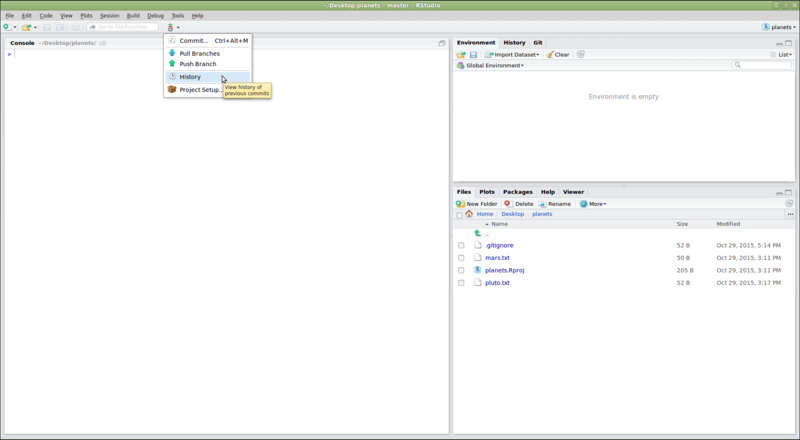 For that reason, the popular development environment RStudio for the R programming language has built-in integration with Git. While some advanced Git features still require the command-line, RStudio has a nice interface for many common Git operations. Do You See a “Version Control” Option? Although we’re not going to use it here, there should be a “version control” option on this menu. That is what you would click on if you wanted to create a project on your computer by cloning a repository from GitHub. If that option is not present, it probably means that RStudio doesn’t know where your Git executable is, and you won’t be able to progress further in this lesson until you tell RStudio where it is. If there is no version of Git on your computer, please follow the Git installation instructions in the setup of this lesson to install Git now. Next open your shell or command prompt and type which git (Mac, Linux), or where git (Windows). Copy the path to the git executable. NOTE: The path on your computer will be somewhat different. 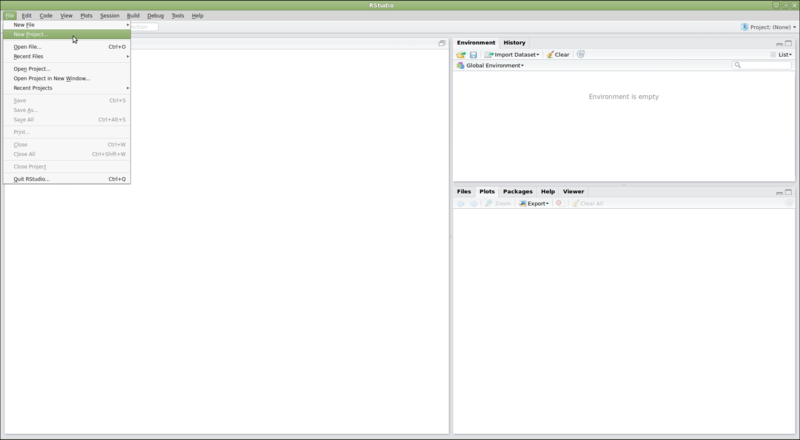 In RStudio, go to the Tools menu > Global Options > Git/SVN and then browse to the git executable you found in the command prompt or shell. Now restart RStudio. Note: Even if you have Git installed, you may need to accept the XCode license if you are using macOS. Are the Push/Pull Commands Grayed Out? 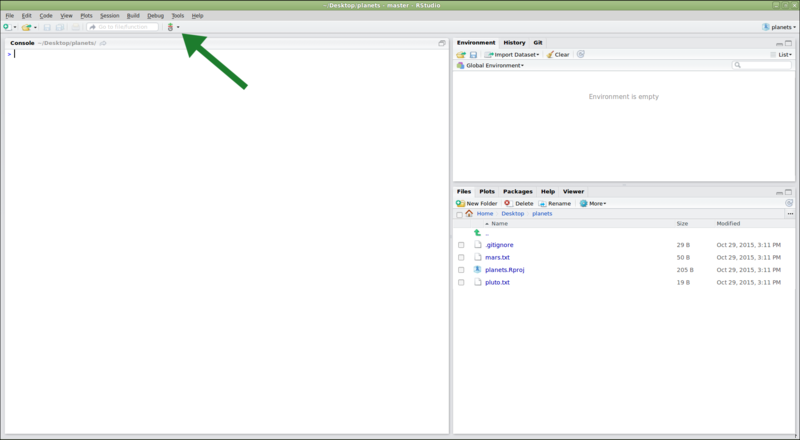 Grayed out Push/Pull commands generally mean that RStudio doesn’t know the location of your remote repository (e.g. on GitHub). To fix this, open a terminal to the repository and enter the command: git push -u origin master. Then restart RStudio. Generally you do not want to version control disposable output (or read-only data). 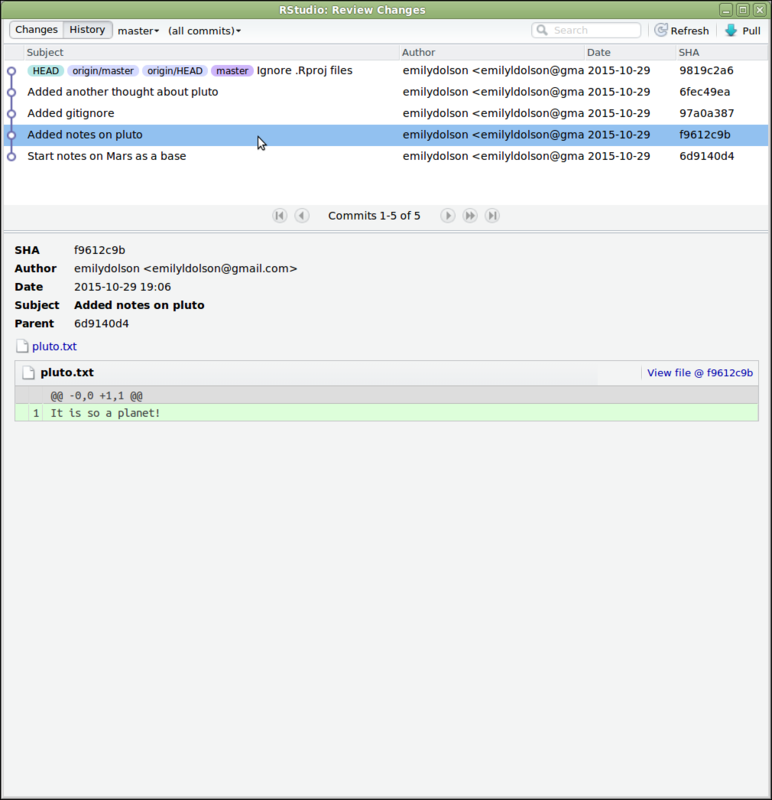 You should modify the .gitignore file to tell Git to ignore these files and directories. 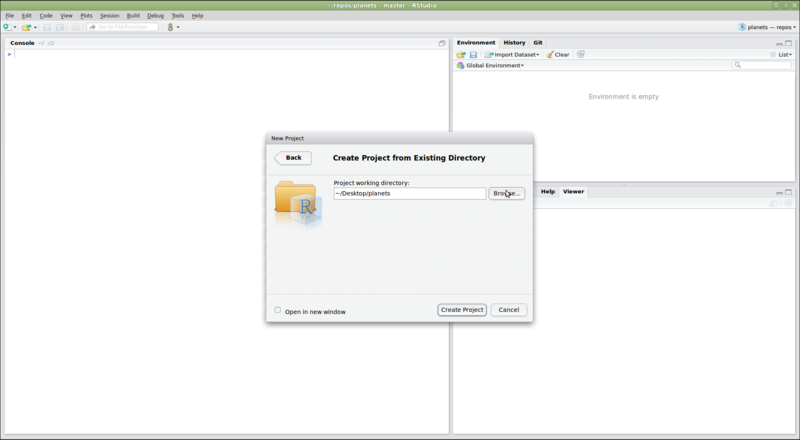 Create a new directory within your project called graphs. Modify the .gitignore so that the graphs directory is not version controlled. 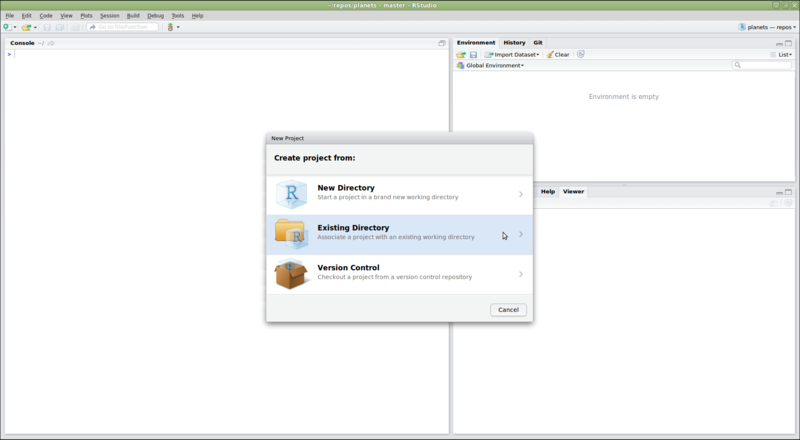 Add the newly created folders to version control using the Git interface. 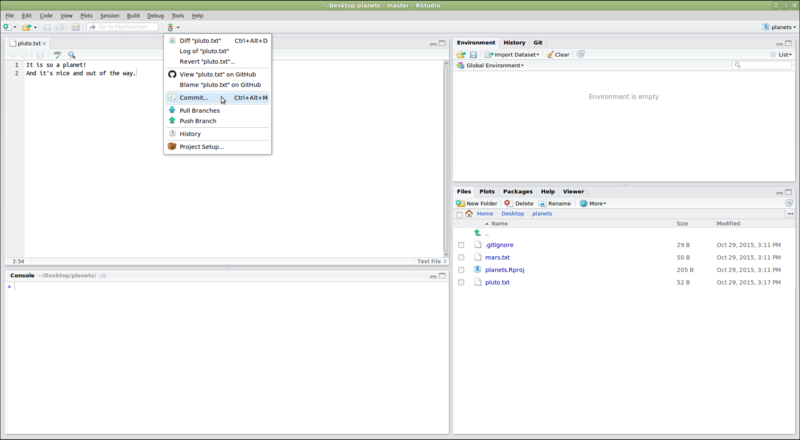 There are many more features in the RStudio Git menu, but these should be enough to get you started!